Mens Argyle Socks have been around for centuries and never seem to go out of fashion. These beauties will let you stand out in a crowd. Category: Men, Men's Dress Socks, Men's Sport Socks. 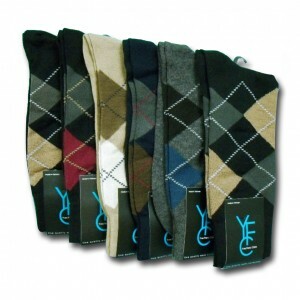 Tags: Argyle Socks, exceptional comfort, Mixed Blend, Multiple Colors, Variety of colors. Mens Argyle Socks contain layers of overlapping motifs, adding a sense of three-dimensionality, movement, and texture. Typically, there is an overlay of inter-crossing diagonal lines on solid diamonds.